In addition to mechanising sanitation systems and supporting a professional sanitation workforce, Swachh Bharat should strictly enforce the anti-manual scavenging law, including against government officials who engage in caste discrimination in the workplace. A protest was held near Jantar Mantar on September 25 demanding that the practice of manual scavenging be ended. “We don’t get any other job no matter where we go. I have tried. I know this is discrimination, but what can I do?” In June 2014, when I met 18-year-old Bablu, he was working through a contractor for the government, cleaning garbage and excrement from drains in Bharatpur city in Rajasthan state. Bablu is a Dalit. His parents were cleaners. After he completed eighth grade, more schooling than his parents had, he said he looked for a job that could lift him out of the status accorded at birth by the caste structure. He wanted something that better matched his skills. Bablu says he was thrilled when he secured a job interview in a hotel because he wanted to train as a waiter. But as soon as the manager heard his caste, Bablu was hired instead to clean toilets. Others with a similar education who were not Dalit, got the waiter jobs. Bablu quit the hotel job soon after. He is now among thousands of Indians who are “manual scavengers,” manually cleaning human excrement from private and public dry toilets, open defecation sites, septic tanks, open and closed gutters and sewers. They are forced into this work because they are usually from caste groups customarily relegated to the bottom of the caste hierarchy and confined to livelihood tasks viewed as deplorable or too menial by higher caste groups. Bablu, like most people who do this work, is from the Valmiki caste, a sub-caste discriminated against even by other Dalits. They usually work without protective gear, not even gloves. For generations, women working as manual scavengers would carry baskets of human waste on their heads. 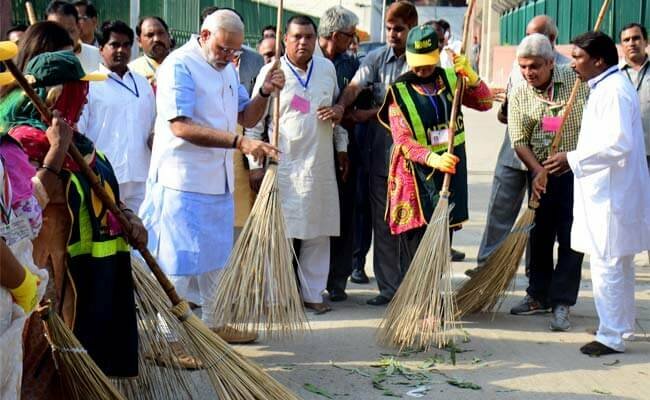 On September 15, Prime Minister Narendra Modi opened a nationwide movement, Swachhata Hi Seva (Cleanliness is Service) as part of his flagship program Swachh Bharat or Clean India Mission focused on ending open defecation and sanitation. He called on people to participate in the drive, describing it as a service to the nation and picked up a broom himself to set an example. But he didn’t address manual scavenging. India reiterated the ban on manual scavenging in 2013 with the Prohibition of Employment as Manual Scavengers and Their Rehabilitation Act. The law recognises a constitutional obligation to correct the historical injustice and indignity suffered by manual scavenging communities by providing alternate livelihoods and other assistance. However, as Human Rights Watch and others have found, the practice is prevalent throughout India not just in homes but perpetuated by governments. Urban municipal corporations hire men and women for this work, both directly and through contractors, as in Bablu’s case, based on discriminatory caste-based hiring practices. They work without regard to labor or occupational safety standards or protections. The authorities continue to bury the problem by grossly underreporting it. The government reports only 53,000 “manual scavengers”, but has figures from only 121 of the more than 600 districts in the country. This also excludes most of urban India, those engaged in cleaning sewers and septic tanks, and data from the state-owned railways, the largest employers of manual scavengers, to wash the tracks. The sanitation workers face serious consequences, even a risk of death. Government data shows that since January 2017, 123 people have been killed while they were engaged in this occupation. In September alone, 11 sanitation workers died while cleaning sewers or septic tanks without adequate protective gear. In one incident, five men died when cleaning a sewer in Delhi. The latest deaths prompted hundreds of people to protest in New Delhi on September 25, demanding an end to the practice and compensation for victims’ families. The government data on these preventable deaths, based on newspaper reports and numbers provided by a few state governments, are far from complete. Safai Karmachari Andolan, a rights group working to rehabilitate sanitation workers, says that at least 300 people have died since 2017. The government figures do not include those who continue the outlawed work of cleaning dry toilets by hand, overwhelmingly Valmiki women. They face severe health consequences, including constant nausea and headaches, respiratory and skin diseases, anemia, diarrhea, vomiting, jaundice, trachoma, and carbon monoxide poisoning. The government says that in the last four years, it has built 90 million new toilets. But ending the use of dry toilets and open defecation is not sufficient to address manual scavenging. There has been little progress to end the caste-enforced practice of manual scavenging or rehabilitate those previously forced to do this work. A robust effort is needed to modernise sewage systems and regularise the sanitation workforce, with proper labor and occupational safety protections. Instead, the Swachh Bharat Mission has at times ended up reinforcing or further perpetuating caste-based discrimination. Recent reports from Delhi, Uttar Pradesh, Gujarat, Madhya Pradesh and Uttarakhand show that some state governments are still hiring people directly or through contractors to clean human waste manually, in violation of the law. Even in states like Gujarat and Uttarakhand, which have declared themselves upgraded, the use of dry latrines and open defecation persist. And thus, so does manual scavenging, raising serious concerns over reliability of government data. In rural areas, the government subsidises affordable toilets – often two-pit latrines – but has failed to counter abusive practices that are still immersed in age-old notions of purity, caste and untouchability. Unlike more modern forms of sanitation, these latrines need to be emptied manually. In rural communities, clearing manual pits remains the job of the Dalits, a study by New Delhi-based Research Institute for Compassionate Economics shows. The Indian government has taken a step in the right direction toward universal access to sanitation, and removing health risks associated with widespread open defecation. But process is plagued by lack of accountability, unreliable government data, and a focus on building infrastructure that does not take into account or work to reverse the realities of entrenched caste prejudice. It is in fact causing new abuses as officials rush to meet targets. Some district officials have even used public shaming or denied access to public services to check open defecation or coerce people to build toilets. For Bablu and others like him to end this “most degrading surviving practice of untouchability in the country”, the government will need to do much more. In addition to mechanising sanitation systems and supporting a professional sanitation workforce, it should strictly enforce the anti-manual scavenging law, including against local government officials who engage in caste discrimination in the workplace. Everyone engaged in manual scavenging should be properly identified to ensure that they receive entitlements provided by the 2013 law, including financial assistance, scholarships, housing, alternative livelihood support and other important legal and programmatic assistance. There has been an outpouring of support from India and abroad for the Swachh Bharat Mission. Individuals, companies, international financial institutions such as the World Bank and concerned governments should insist that the government’s Clean India Mission includes abolishing caste-based practices that impose sanitation-related tasks on Dalits. 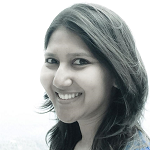 Jayshree Bajoria is a research consultant for Human Rights Watch. Follow her on Twitter @jayshreebajoria. #Grit is an initiative of The Wire dedicated to the coverage of manual scavenging and sanitation and their linkages with caste, gender, policy and apathy. The Manual Scavenging Project is the first in a series of deep dive editorial projects.